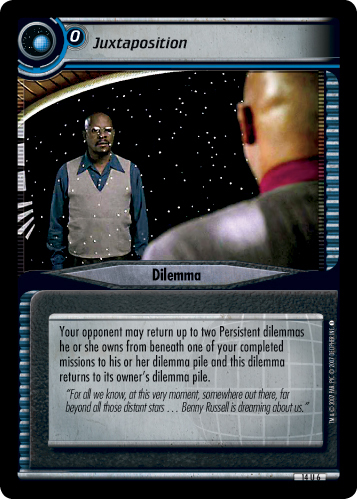 Place this dilemma in your core. 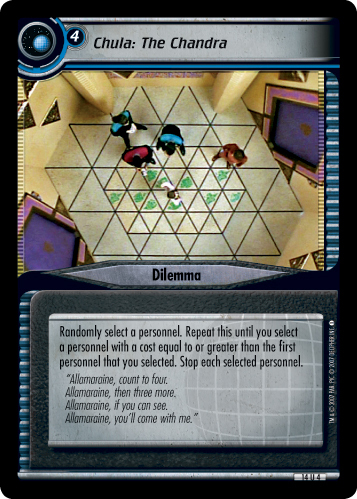 When your personnel begin a mission attempt, your opponent may remove this dilemma from the game to draw three extra dilemmas and spend three extra in total cost on dilemmas. 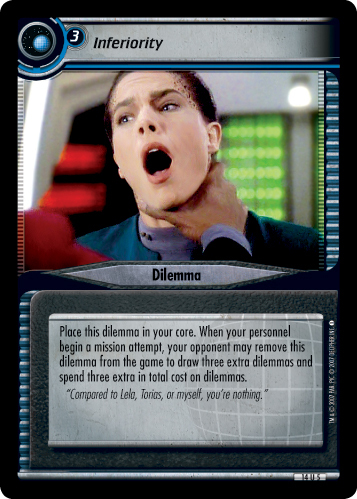 "Compared to Lela, Torias, or myself, you're nothing."